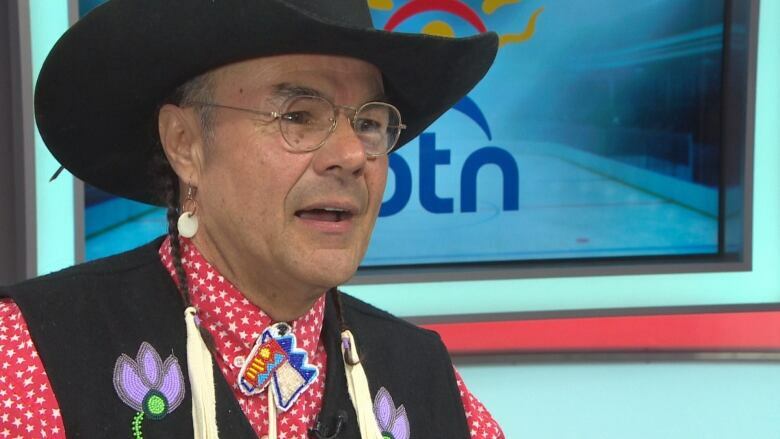 "I am completely in awe and I am very proud," said studio host Earl Wood, who will provide commentary and analysis in Plains Cree along with play-by-play announcer Clarence Iron. "I think of the future as well as remembering the past and that the people have done to keep our language alive," Wood said. "It's a very magnanimous moment — it's going to be history." Sportsnet and APTN have partnered for the broadcast, taking place in conjunction with the Rogers Hometown Hockey festival, which is making a stop this weekend at Enoch Cree Nation on Edmonton's western boundary. Iron and Wood will be joined by retired NHL player John Chabot, who will provide commentary and analysis, broadcasting out of APTN's Winnipeg studios during the game. "It's going to be the first of its kind and we're very excited, right across Canada I know a lot of people are waiting," said Iron said Saturday, as he and the crew prepared for the broadcast. Iron says he isn't nervous for his national debut, but he admits the action might be a little quicker that what he's used to. "It's going to be a professional game to call," he said. "Because it's going to be a little faster, I've got to know the players and their numbers. "It's going to be a little bit different than Indigenous hockey." 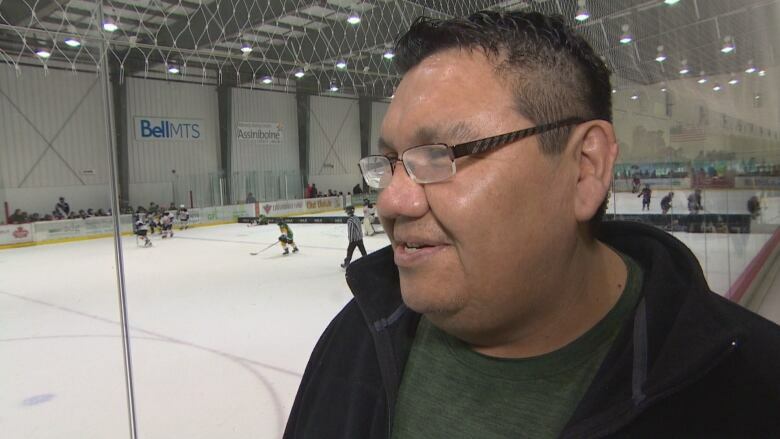 News of the game's broadcast was exciting for Cree speakers who were watching games at the Manitoba Indigenous Cultural Education Centre's annual Indigenous Minor Hockey tournament at Bell MTS Iceplex Saturday. "It's never been done before and hopefully that will not be the end," said MKO Grand Chief Garrison Settee. "I hope that we can see more of that in the coming future." "This will be a significant stepping stone for the youth," he said. 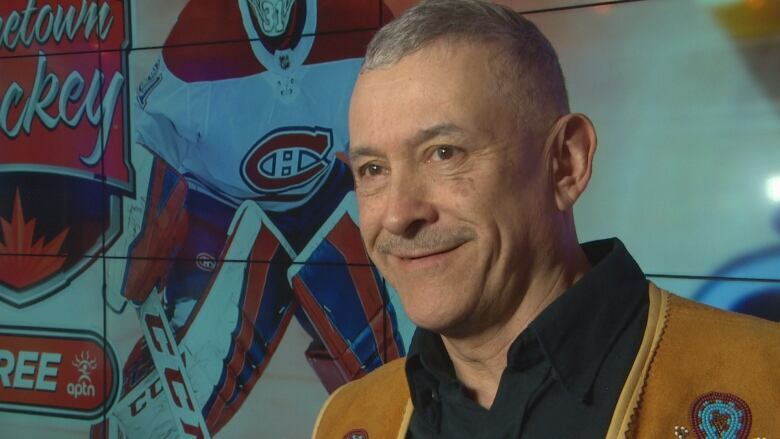 "For me personally like I love hockey so just to hear it in Cree, it'll be really good and especially elders to — back home they really love hockey as well and if they heard it, like broadcast in Cree, it'll be a big thing for them." Danielle Audette, senior manager of programming at APTN, said the partnership with Sportsnet is an "amazing opportunity" for the network. She's hopeful other Indigenous languages may be used in future broadcasts. "We're honouring our ancestors that have spoken in the Indigenous language, we're celebrating the talent that speak in their Indigenous language and we're going inspire others to speak in their Indigenous language," said Audette. "Sunday's game is a monumental occasion for us to come together to cover this programming in an Indigenous language."